Hiring top sales talent can be a challenging task for many managers. Sometimes you will hire several qualified candidates only to find out that there is one top sales rep out of the group. There will never be a full proof plan that will allow you to completely eliminate hiring the mediocre sales reps. However, there are some key skills you can interview for when speaking with candidates which will help you better identify the top talent. When you are interviewing sales candidates, it is of top importance to find out what motivates and drive them. A good sales rep will be driven by money, sales rankings, and the overall victory of winning a tough sale. Why does this motivate you? How do you stay motivated when faced with a tough sale? When a candidate is discussing their motivators and drivers, you should see energy and passion in their answer. When adding a new sales rep on your team, you must ensure that the new hire has the persistence and persuasion skills needed in order to initiate and close deals. Typically, sales is not an easy or quick deal. Your sales reps should understand that it can take many calls in order to generate potential customers. Once your sales rep has an interested customer, it is key to maintain contact with that customer before and after closing the deal. Persistence is a must have quality in a sales rep and the ability to persuade a potential customer to see the value in your product is also an important skill. There is no room in sales for reps who tend to give up quickly or lack the persistence to follow up with potential leads. What is your ratio of presentations to closed deals? What is your quota and achievement? What is the length of your sales cycle? 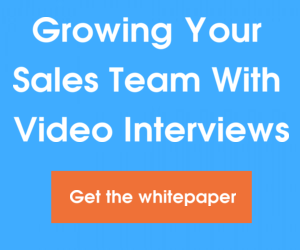 How many sales reps are on your current team and what is your ranking amongst them? Tell me about a difficult sale you closed. What made it difficult and what did you do to close it? As with any interview, get as many details from candidates as possible and ask for any documentation or awards they have received. Most sales candidates will have a Brag Book which will contain all of these items. A good sales rep will want to ensure that you know about their successes. I also recommend that you confirm as much as possible when checking references. It is true that you want sales reps who can open doors and close deals. However, keep in mind that your sales reps are in front of your potential customers, as well as current customers. It is important that your reps have solid customer service skills and treat future and existing customers with the utmost respect. What is your sales approach? Have you managed existing accounts in addition to new business development? Tell me about a time a customer was unhappy with your product. What was the situation and how did you handle it? It is also an excellent idea to obtain customer references from sales candidates. What are some of the skills you search for in your sales candidates? Please share your tips in the comments below.